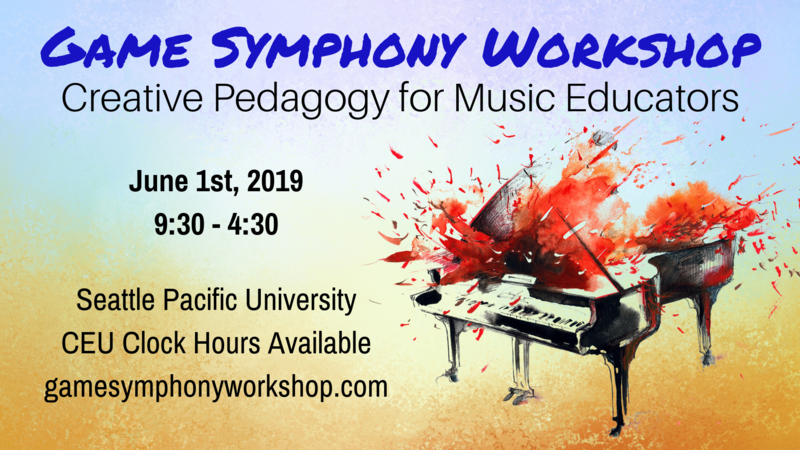 Registration is open for Game Symphony: Creative Pedagogy for Music Educators on June 1st at Seattle Pacific University. The class trains music educators from diverse disciplines to teach improvisation and composition through learning activities, case studies, and follow-up support (clock hours available). If you are interested but don’t live in the NW, we will film the event and hope to offer it as an online course in the future. Here’s a link to my presentation for professors at Berklee College of Music.